Natalie graduated from Auburn University in 2010 with a Bachelor’s degree in Finance and Accounting and continued her education with a Master’s in Accounting from Sam Houston State University in 2012. Natalie became a Financial Advisor with IMG Financial Group after beginning her career in tax services. She started at PriceWaterhouseCoopers in 2012, focusing on international partnerships in the private equity sector. She then worked at a global consulting firm, Alvarez & Marsal, advising clients on federal and state income tax matters. 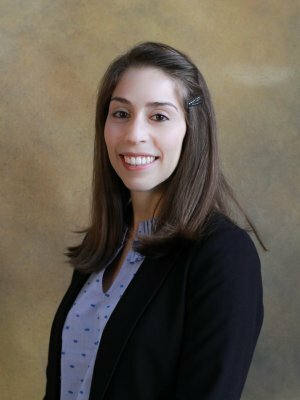 Natalie’s concentration at Alvarez was federal tax planning, compliance, and provision for both private and public companies in an array of industries. As her career progressed, Natalie developed a strong desire to provide personal financial advisory services to her clients. Natalie’s background in tax allows her to apply her unique skillset to help her clients in their financial needs, including investments, retirement solutions, education funding strategies, and financial strategies, among others. Her time in public accounting taught her how to add value to each client she serves by putting her client’s interest as her main priority. Natalie grew up in Conroe, Texas and attended St. Pius X High School in Houston. Natalie currently resides in the Heights area with her husband, Stephan Shipp, who is a CPA and Tax Manager for EEPB PC. While outside of work, she enjoys travelling, biking, and watching classic black and white movies. Natalie holds her FINRA Series 7 and Series 66 Registrations in addition to her Texas Life and Health Insurance Licenses. Natalie is a registered representative and investment advisor representative of Securian Financial Services, Inc.